Beautiful cover? Check. Intriguing blurb that piques your curiosity? Check. Hype? Check. Friends left and right recommending that you read this book? Check. See, like almost everyone on the blogosphere, I've been wanting to read Red Queen for months now, and this is mainly because of the monstrous hype surrounding it.. Almost a year before its release, there were already talk about how it was going to be YA's next big thing. I remember downloading it off edelweiss on the existence of my friends and fellow bloggers (*waves at Kai and Leslie*), and the when I finally had the time to sit down and start reading, I was instantly hooked. Like, let me finish reading instead of sleeping because who really needs sleep anyway hooked. So yes, I bet you guys can just imagine how excited I was when I was asked to be part of the blog tour! The main premise of Red Queen explores the relationship of the red-blooded - those deemed of low status and without magical capabilities - and the silver blooded who can do magic and are considered the most important members of society. Simply put, who you are and what you do in life is decided by the color of your blood. The Reds serve the Silvers, and while there is unrest at how unjustly the Reds are often treated, no one can really do anything about it because of the silvers' powers. All this changes, however, once seventeen-year-old Mare discovers that she has magic of her own... despite being red-blooded. To avoid political mayhem, the king and queen decide that Mare is to pretend to be a Silver, and is subsequently engaged to Prince Maven, second-in-line to the throne. 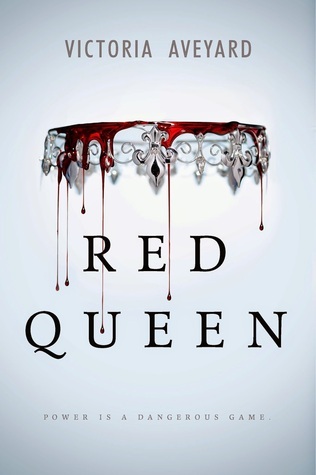 Those who know me know that I don't usually like fantasy and that dystopia is most often a miss rather than a hit for me, but what I really liked about Red Queen is that it straddles the line between the two genres. 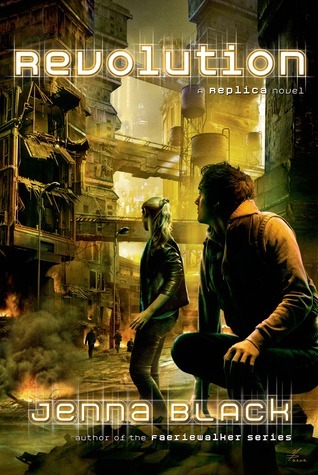 As a result, no aspect about each genre is too heavy - there aren't too many headache-inducing concepts, and since the book didn't just focus on the government and political unrest, it was easier as a whole to just.. go with the story, if you get what I mean. There were no moments wherein I had to turn back a page a or two because I could not for the life of me understand what was going on - instead, we have a book that is easy to lose yourself into. Moreover, Mare, our heroine, is undoubtedly one of the best aspects of Red Queen. I love her determination, her sense of justice, her undying desire to right all the wrong she sees, and her unwavering love for her family. Things were never easy for Mare, but never did I get the sense that she was close to giving up and throwing all her dreams away. She knew that she was her people's only shot for a peaceful life without servitude, and that's something that was in the forefront of her mind with every decision that she made. She fought tooth and nail (and damn she fought hard) to achieve all that she she had set out to do. Mare's grit and persistence remained constant throughout the book, and that's something I really like. As a matter of fact, some of my favorite parts in Red Queen were the parts wherein she was being taught how to harness her magic properly, and how to be a fighter, simply because it was here where Mare's strength and firm resolve were showcased excessively. I also loved seeing the story unfold through Mare's eyes. Here we have Mare, while possessing a secret that has the potential to topple the current political standing thrust into this world of power struggles and deceit. I loved how were privy to Mare's innnermost thoughts while she danced around the members of the royal household and all the elite families, attempting to find just who it is who she can trust. It was also a treat to see how Mare's relationships with Prince Maven, her betrothed, and Prince Cal, heir apparent and someone who has saved Mare in the past, evolved. Who can she trust between the two brothers - strong Cal who is already more than capable to lead the country, or kind Maven, who has always been in the shadow of his older brother? Full of action and with its fair share of lies, deceit, and betrayal, Red Queen is a tale that will keep you guessing until the very end. There will be points in the book wherein you will think that you know the characters and what they're capable of, but trust me when I say that you don't. All in all an engrossing read that will make you want more, I can't recommend Red Queen enough! 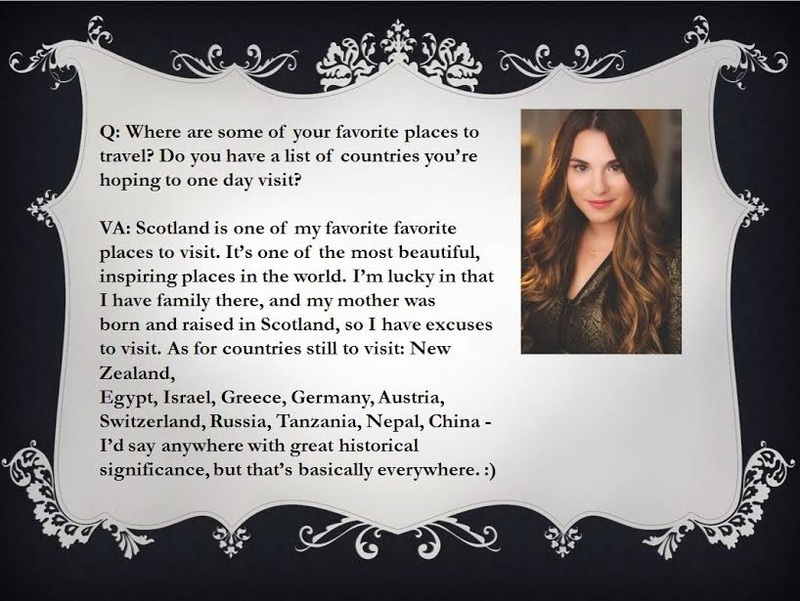 Here's an exclusive Q&A with Victoria for all of you as well! I’ve heard so much hype about this book and god I can’t wait to read it! Your review just makes me want it so much more! Thanks for the great review! I've always been curious about this book. There'd been a time when my feed was full of Red Queen quotes/cover. "Red Queen is a tale that will keep you guessing until the very end." I like this book already. I'm gonna put it in my TBR list. Thanks for the review!